Do you have a business that uses social media? Have you traditionally stuck to the big two like Facebook and Twitter? Do you need something a bit different? With an estimated 250 million active monthly users, Pinterest is growing steadily among the business community and is likely to continue at a pace as it adds new and exciting features. Don’t miss out on the opportunity for your business to reach out to this ever increasing market. 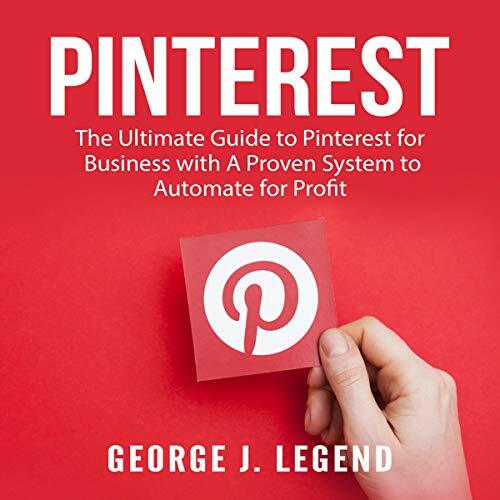 Get a copy of Pinterest: The Ultimate Guide to Pinterest for Business with a Proven System to Automate for Profit, and make sure your business is getting the coverage it needs.